In this probing, Ferrante-esque novel, a disappearance of a life long friend becomes urgent and bewildering. When her old friend Hannah doesn’t show up at her family house in the south of France, everyone assumes that Claudia, who has known Hannah since their shared years at boarding school and Cambridge University, will know where she is, and what has happened. 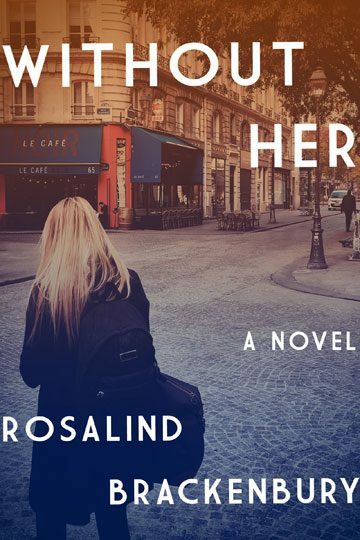 But as Claudia travels from the USA to France to help Hannah’s husband and children conduct their search, she is forced to deal with her old jealousy of Hannah, as well as her own relationship in the present with her French lover of thirty years, Alexandre. As events unfold, Claudia begins to wonder if Hannah and Alexandre may have had an affair and if that affair has had something to do with Hannah’s mysterious disappearance. In this exquisitely written, progressive and deeply thoughtful novel, Brackenbury ponders the bewildering question: if Hannah does not return, what will the lives of her friends and family be without her? Brackenbury gracefully weaves a tantalizing tale of a wartime relationship based on intellectual connection and lasting courage. Brackenbury writes “the body” well. She captures the urgency and tactile lusciousness of sexual passion; the cocoon-like sense, in the beloved’s presence, of a heightened reality. Brackenbury’s native poetic sense [is] balanced by her capacity to tease out, and fulfill, the reader’s expectations. Poet and novelist Rosalind Brackenbury is the author of Becoming George Sand, Paris Still Life, The Third Swimmer and The Lost Love Letters of Henri Fournier. A former writer-in-residence at the College of William and Mary in Williamsburg, Virginia, she has also served as poet laureate of Key West, teaching poetry workshops. 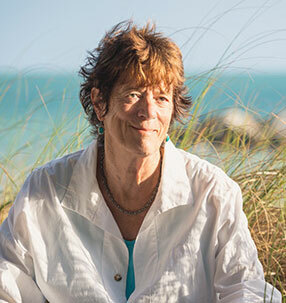 She has attended the yearly Key West Literary Seminar as both panelist and moderator. Born in London, Rosalind lived in Scotland and France before moving to the United States. Her 2016 novel, The Third Swimmer was a 2016 INDIES Silver Winner in adult General Fiction. She now lives in Key West, Florida, with her American husband. Her latest poetry collection “Invisible Horses” is due out from Hanging Loose Press, NY, in May 2019.